Make deposits to your checking account 24-hours a day/ 7-days a week. 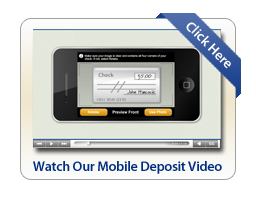 Most personal and business checks up to $2,500 can be deposited through Mobile Deposit. ELIGIBILITY Mobile Deposit is available for Territorial Savings Bank Mobile Banking App customers. TSB checking account customer for 1 month or longer. Checking accounts in good standing at time of service activation. This service is not available for business checking accounts. The Mobile Banking App is available for iPhones 4 or higher, Google Android models 2.3 or higher, iPad2 and higher and Android tablet 4.0.3 and higher. Deposit most personal and business U.S. checks that are payable to you - up to your deposit limit. Deposit up to $2,500 per checking account, per business day. Deposit up to $10,000 per checking account, in a rolling 30 calendar day period. The following types of payments must be deposited at a branch versus mobile deposit: money order, postal order, traveler's check, US Treasury check, government warrant, demand draft, checks that require special endorsements or warrants. In most cases, deposits made by 8 pm Eastern Time on a business day will be processed that day. Deposits made after 8 pm Eastern Time will be processed the next business day. Up to $200 of your deposit will be available for withdrawal on the next business day of the date of your deposit, and the remaining balance on the following business day.